I went over to my aunt and uncle's for a bit this afternoon. We chatted for awhile in Annie's studio and then made a few quick monotypes. 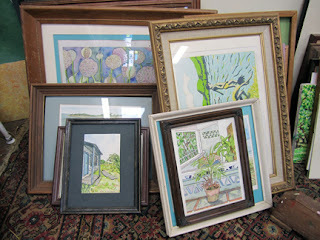 Above are some of her paintings. 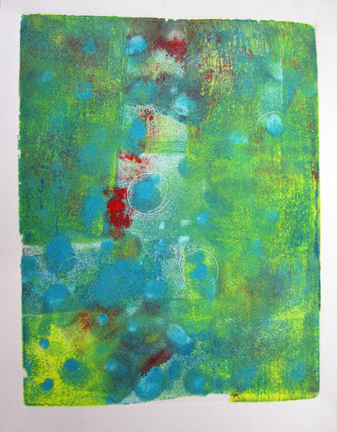 Below is one of the monotypes I made.